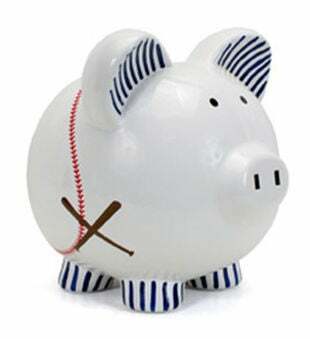 A little slugger will be saving in no time with the Personalized Baseball Piggy Bank! Make managing a child's savings fun with this hand-painted, unique design. Perfect for a baseball lover's nursery, baby shower, birthday and every occasion in between.